This special holiday family getaway includes special activities for kids under age 13. Available only during the Holy Week vacation period. 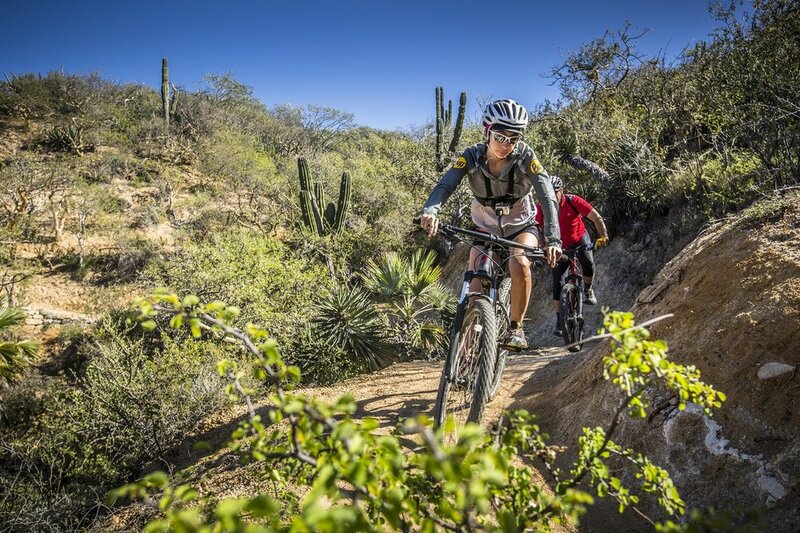 On this tour, older family members will ride through a growing network of prime singletrack developed under IMBA standards, amidst the beauty of the Baja California Sur rugged mountains and its endless cacti diversity. Enjoy great food, cultural exposure and superb views of the mountains overlooking the shimmering Sea of Cortez. While the parents and older kids are out riding on Days 2 and 3, the younger kids will enjoy special free "Kids Adventure Camp" educational programs exploring the semi-desert environment and wildlife of Baja California Sur. Morning: After a hearty breakfast, older family members will hit the trails and ride toward Dos Hermanos to explore our working ranch with its award winning creamery and seed production garden. Children will spend the morning with their "Kids Camp" Rancho Cacachilas guides exploring the ranch and learning about the ecosystem, desert animals, plants and watershed in a fun, educational program. We will all meet up to enjoy a farm-to-table lunch at Dos Hermanos. 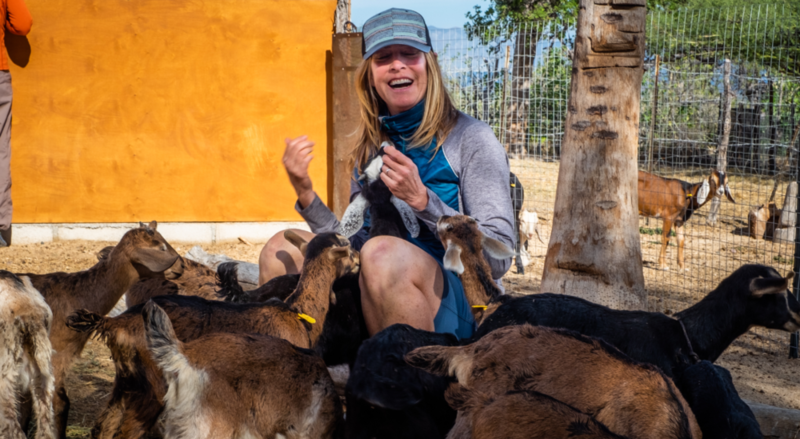 Afternoon: Parents will return to Chivato, while the kids explore the Dos Hermanos gardens and learn about our goats and cows. They will learn how to raise and care for the animals, how cheese is made, and maybe even how to milk a cow or goat! Kids and parents reunite later in afternoon at Chivato and can reconnect over a refreshing dip in the pool. 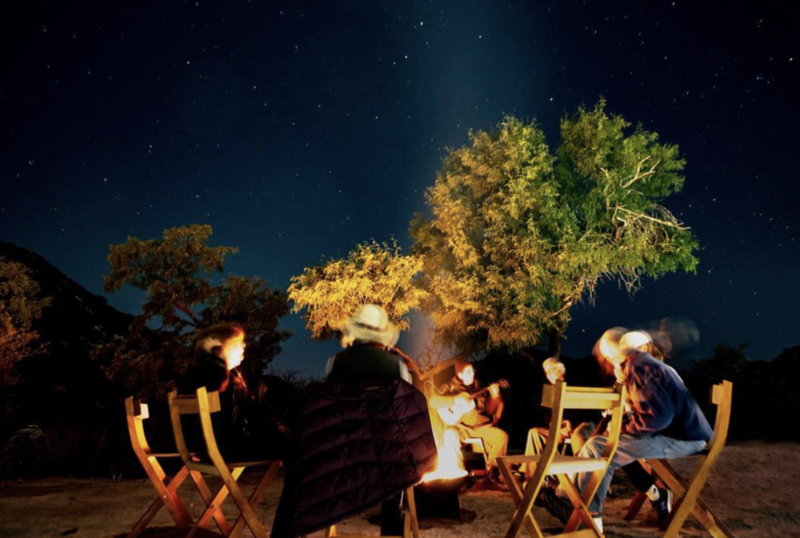 That evening we will all stargaze together and learn about the Baja night skies. Morning: On this day you will be familiar with the routine & ready to take on a day of mountain biking adventure! We will hit the trails after breakfast to enjoy a ride on one of the Ranch's prime single track trails. This ride will take us to the middle height of the mountain offering great terrain challenges as well as magnificent views of the desert merging with the sea. 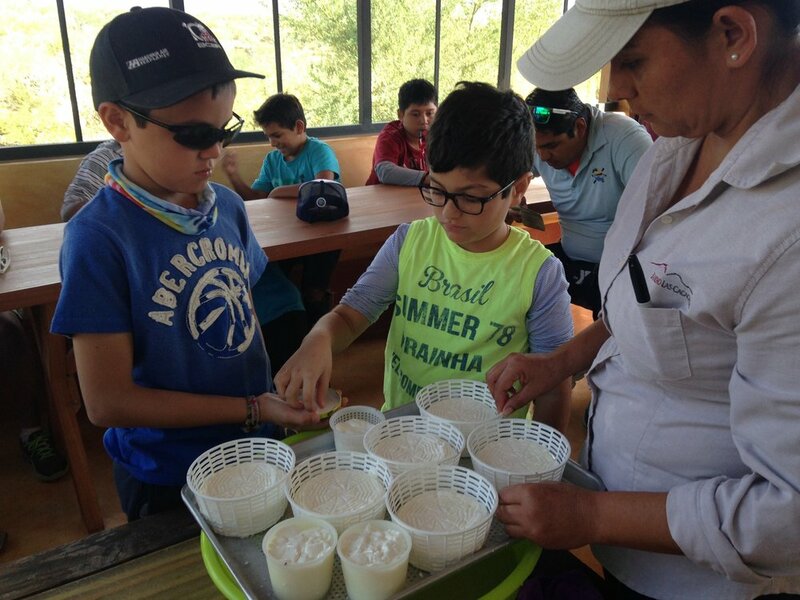 The kids will spend the morning with their "Kids Camp" Rancho Cacachilas guides exploring the ranch and learning about the ecosystem, desert animals, plants and watershed in a fun, educational program. We will all reunite for a lunch together at Las Canoas.